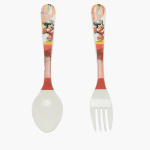 Mickey Mouse Print Spoon and Fork Set | Multicolour | Strong , durable and hygeienic for babies and todlers. Shaped for little hands to hold. 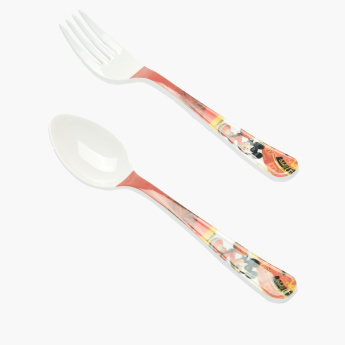 Help design your baby's eating habits with this adorable spoon and fork set. Strong, durable and hygienic, this set is just the right choice for little one. It is shaped for tiny hands to hold. 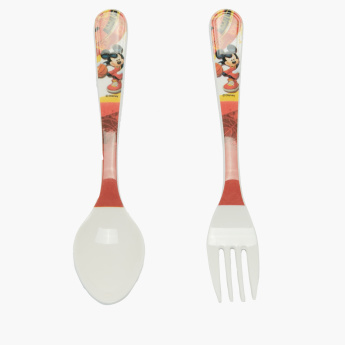 Feature 2 : Specially designed to developed the eating habbit by fork and spoon with adorable character and color. Feature 1 : Strong , durable and hygeienic for babies and todlers. Shaped for little hands to hold.